Rescue personnel arrived and uncovered the mother and son, identified by the Alpine County Sheriff's Office as Olga Perkovic, 50, and her son, Aaron Goodstein. 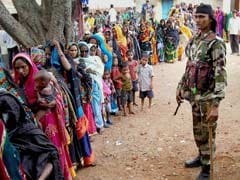 They were given medical aid and airlifted to area hospitals, but neither survived. A major snowstorm led to avalanches and multiple deaths throughout the region. 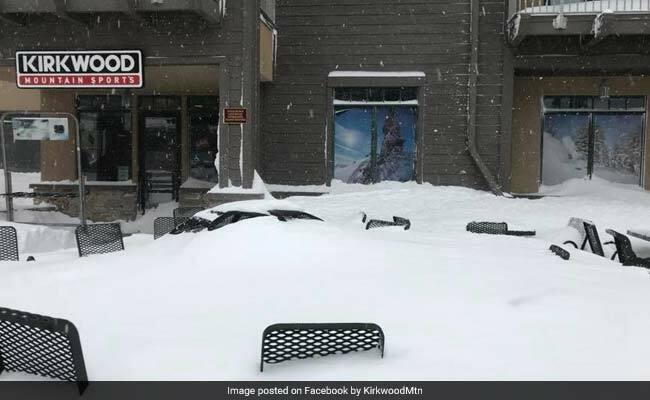 It was about 9 p.m. Sunday at a condominium complex in the Kirkwood Mountain Resort, an isolated but popular skiing destination in northern California, about 100 miles east of Sacramento near the Nevada border. The region's largest winter storm had blanketed the mountains with more than eight feet of snow. Spotting the gloves beside the vacation condo, the passerby took a closer look and made a horrifying discovery. Buried beneath a mound of three feet of snow were a mother and her 7-year-old son. Both were unconscious. Rescue personnel arrived and uncovered the mother and son, identified by the Alpine County Sheriff's Office as Olga Perkovic, 50, and her son, Aaron Goodstein. They were given medical aid and airlifted to area hospitals, but neither survived, sheriff's officials said in a statement. Perkovic had been visiting the resort on a ski vacation with her three children and her mother, according to the statement. The mother and 7-year-old son last boarded a ski lift - chair seven - at about 4 p.m. After skiing down their last slope of the day, they made their way back to their vacation condo. The pair decided to take an alternate route to the complex, weaving through a wooded area on their skis. Reaching the complex, they skied under a roof that was covered with a mound of snow about the size of a trailer, sheriff's officials told the Associated Press. The massive chunk slid off the rooftop just as the mother and child passed beneath it. "It was horrible timing, they were right beneath that one piece of roof and it just unloaded," Undersheriff Spencer Case told the Reno Gazette Journal. "A few feet one way or another it could have come out differently." Perkovic's mother, who was staying in the same condo as the family, reported the pair missing at about 6:40 p.m., officials told the AP. The mother and son were buried only 30 feet away from their front door. "The snow on a roof is not the easy, powdery stuff," Case told the Reno Gazette Journal. "It is almost always a very wet snow so when it hits the ground it sets up." Rising temperatures can often cause snow to slide off roofs, Case told the AP. Sometimes, the chunks of snow cause injuries. But in the past three decades, sheriff's officials said they could not recall anyone dying from such an episode. "It was a freak accident," Case told the AP. A 42-year-old snowboarder was found dead Friday at Squaw Valley Resort. Wenyu Zhang, 42, of Rocklin, California, had gone missing during a blizzard Thursday, according to the Placer County Sheriff's Office.